The way in which I’ve first become aware of literary works has been quite varied. This one I discovered quite by accident. I was probably around 28 years old and was looking forward to watching A Tale of Two Cities on the TNT network (the great, classic 1935 version with Ronald Coleman of course). It didn’t come on until late at night so when I began watching, I switched on the VCR (yes, this was in a world before TiVo) so that “if I fell asleep” I would be able to watch the rest of the movie the next day. 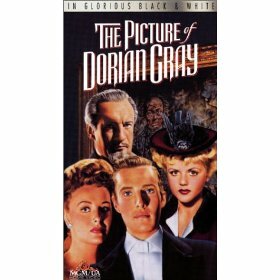 Well, of course I fell asleep off and on all night long, but the serendipitous side of this story is that the movie that came on after A Tale of Two Cities was none other than the 1945 version of “The Picture of Dorian Gray” starring Hurd Hatfield in the title role. I woke the next morning with a vague memory of being intrigued by “some other movie” with a haunting musical score and snappy dialogue. I ended up watching the whole thing the next morning and then several other times in the next few years. It became one of my “all-time” favorite movies in fact. I just downloaded Beastly by Alex Flinn. I think I am going to make this my next read. I need to read something ‘modern’ after trudging through Sir Walter Scott (but I still love ya, Wally!) the past few weeks. “A beast. Not quite a wolf or bear, gorilla or dog but a horrible new creature who walks upright – a creature with fangs and claws and hair springing from every pore. I am a monster. You think I’m talking fairy tales? No way. The place is New York City. The time is now. It’s no deformity, no disease. And I’ll stay this way forever – ruined – unless I can break the spell. This story is also coming out as a movie this summer. A bit of a reading lethargy has befallen me since I finished the novel, Guy Mannering. I think part of the reason is I miss the book and its having transported me to 18th Century Scotland and the territory of Galloway. Almost from the beginning when we found the title character ‘losing his way’ in the night and stopping at a hovel, whose mistress – upon the promise of payment in return for being guided – rouses her young son to conduct ‘our hero’ to the estate of Ellangowan, I was pretty much hooked. I will miss the characters that Scott created: the wonderful Meg Merrelies – a gypsy ‘witch’ almost literally larger than life at six feet tall, the unfailingly loyal and impossibly awkward Dominie Sampson, the steady and loyal Colonel Mannering himself, his daughter Julia – ready to spread her wings and follow the first promising suitor who comes her way, piping on his flageolet beneath her window. 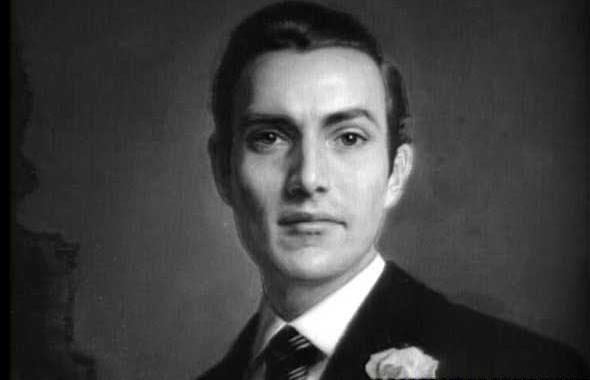 The same suitor is also Harry Bertram, the heir to the estate of Ellangowan. 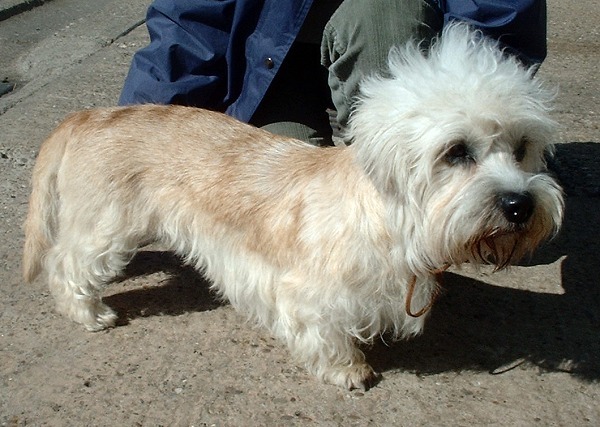 And Harry’s robust friend, farmer Dandie Dinmont, whose character gives the name to the Dandie Dinmont Terrier (pictured here). All great characters, and let’s not forget the evil Captain Dirk Hatteraick, a successful smuggler and murderer. I’ve read many better “stories” than this, but it was Scott’s language and great characters that made this perhaps my favorite book of 2010 thus far. SPOILER ALERT! – following is my summary of the book’s plot; read no further if you’d like to read this for yourself! 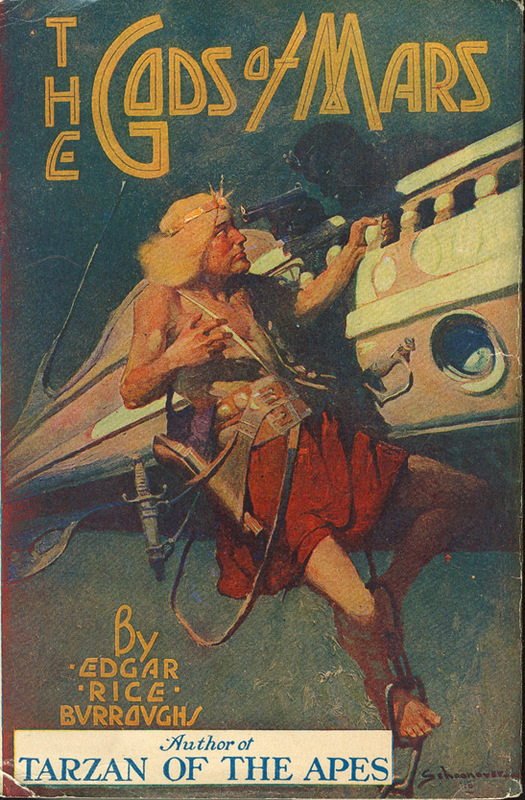 The sub- or alternate title of this book is “The Astrologer.” This comes from the opening passages of the novel, where Guy Mannering arrives at Ellangowan, just as the Laird’s wife has given birth to their son and heir. The gypsy, Meg Merrelies, is also present and has come to tell the fortune of the future laird. Mannering, being an Oxford scholar and being – naturally of his era – quite versed in the art of astrology is prevailed upon to cast the young lad’s horoscope. Asking to be conducted to somewhere with suitable viewing of sky, he ends up standing on the ‘rampart’ of the ‘castle-like home (the next morning he also takes a stroll along the walls, surveying the surrounding era in another powerful descriptive passage by Scott). As part of the horoscope, he divines that the heir will face critical times in his life at the time he turns five and also 21 years old. 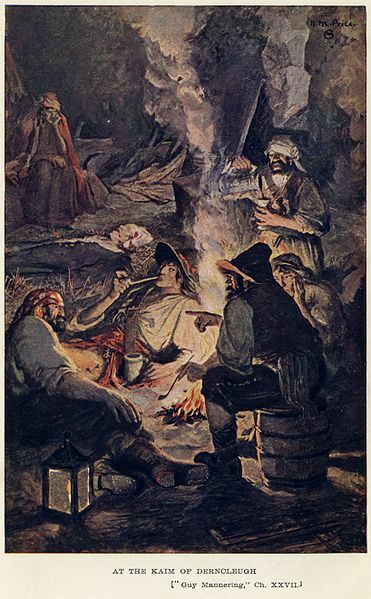 Mannering’s predictions turn out to be quite true, as on his fifth birthday, he is kidnapped by Hatteraick and his ‘pirates’ after witnessing their murder of a government agent. On this same night, Bertram’s mother dies while giving birth to his younger sister, Lucy. The novel leaps ahead almost 16 years, where Godfrey Bertram, due to mismanagement and incompetence, has fallen upon hard times and ill-health. Mannering, who has in the interim risen to the rank of colonel in the army, and spent many years in India, returns to the same location that bewitched him (or maybe it was Merrelies who bewitched him) so many years ago to see how things have turned out for the young laird whose future he foretold. 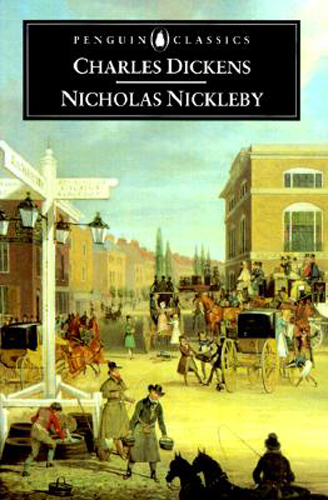 He cannot stay in the area, but learns that the estate is to be sold and leaves instructions for a local attorney to send word when he should return, for he has long dreamed of living at Ellangowan. Due to a bumbling messenger, however, he does not receive word in time, and the estate instead falls into the hands of an unscrupulous neighbor, Glossin, who has also long coveted it. Godfrey Bertram dies and Colonel Mannering, feeling some paternal sympathy towards the young Lucy Bertram, rents a nearby house and offers for her and her tutor, Dominie Sampson, to live with him and his daughter Julia, who he is trying to keep away from a mysterious suitor. Naturally, the suitor turns out to be the long-lost heir, Harry Bertram, traveling under the only name he has known, VanBeest Brown (it seems the smugglers left him in Holland). Harry journeys north in search of his true love, meets and befriends the farmer Dandie Dinmont after saving him from bandits on the road, and eventually finds his way back (unknowingly) to his place of birth. Clearly, Glossin and Hatteraick prefer that the events of 16 years ago are not revisited and do what they can to prevent the reinstatement of the young laird (now perfectly suitable as a match for Julia Mannering), but good prevails and we have a happy ending all around. Behind the scenes through all this is Meg Merrelies, who though having cursed Godfrey Bertram had always been fond of little Harry, for whom she was an occasional companion and guardian, and who also has never been fond of Glossin, works to make sure Ellangowan’s rightful heir is restored. Oh well, I didn’t intend to write an entire ‘cliff notes version’ of the story, but that’s the gist of it. It was NOT easy to read because the language is not what readers of our era are used to, but I would heartily recommend it nonetheless. The book has also served to increase my interest in Sir Walter Scott and in the history of Scotland in general. I think I will search for a good biography of the author and put that in my TBR pile for this year. Next up of the Waverley Novels (taken chronologically) would be The Antiquary, which I have already downloaded to my FreeBooks app on my iPhone and to my nook® reader as well. What about you? 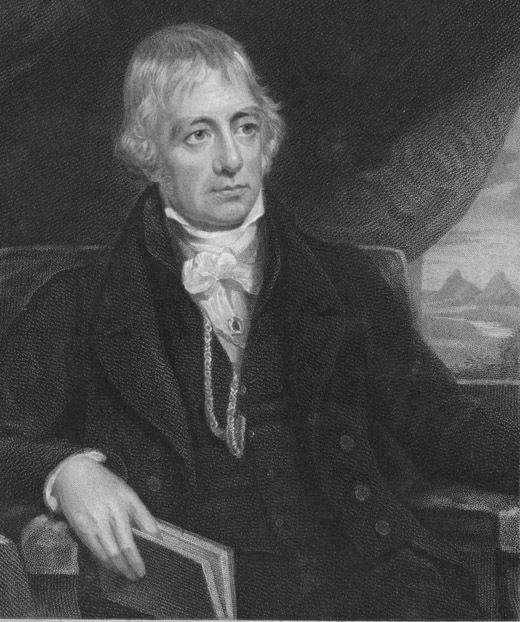 Have you read any Sir Walter Scott? Poetry? Novels? Anything to recommend? Just moments ago, while savoring a Wee Mac Scottish Ale (at MacNivens, where else??) I finished reading the last few words of Sir Walter Scott’s “Guy Mannering, or The Astrologer”, completing an almost three month journey. Part of the reason I haven’t posted lately is that I have been so absorbed reading this book the past couple weeks. I’ll post more about it later, but wanted to post now and let the world know I have finally completed this book! Oh well, the good news is that I have finally “gotten into” this book, and am making real progress, AND I’m loving it. Scott is a tremendous writer and is a pleasure to read. 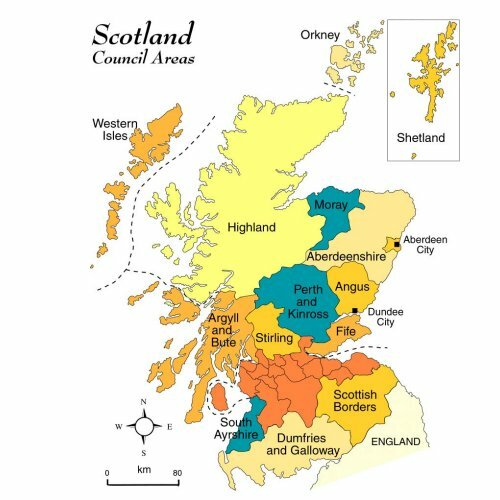 Of course, all the dialogue portrayed in the Scottish ‘brogue’ (is that usage correct, or should it be used only with “Irish”?) is sometimes difficult for me to get through, but that’s a small price to pay to be able to enjoy the rest. 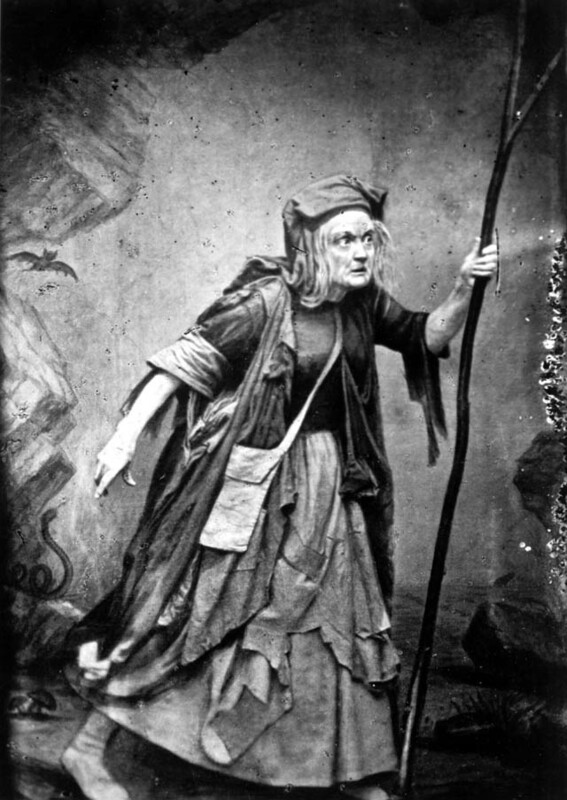 And Meg Merrilies – what a great character. More on her later… Coincidental Note: Was reading some financial news today on Bloomberg.com and learned that the current President of Brazil’s Central Bank is named Henrique Meirelles… hopefully he will not curse their monetary policy! 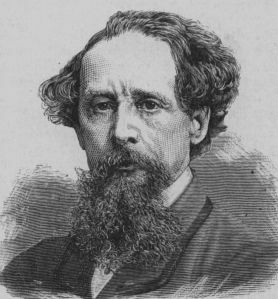 How many books by Dickens have you read…? 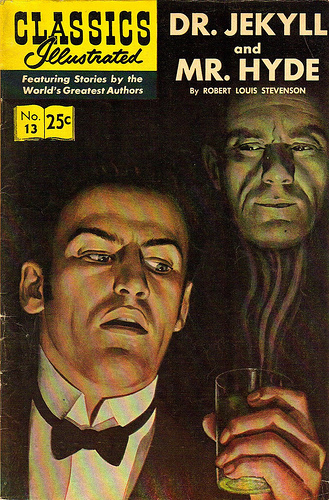 I was reading over on Jade’s blog, Chasing Empty Pavements, that she is about to read Stevenson’s The Strange Case of Dr. Jekyll and Mr. Hyde for her Brit Lit class. It reminded me of one of the most chilling murder scenes I have read to date. He describes a maid servant’s witnessing of Hyde’s attack on one Sir Danvers Carew, an aged MP. Wow. What a passage, and truly disturbing. I think maybe what was most disquieting to me when I was younger was it was a kind of summit meeting of the civilized and the barbarian. And the barbarian utterly destroys him. I guess we could argue that this conflict is, naturally, the theme of the novel as a whole, but this little scene zooms in on it in a terrible way. The words “a storm of blows under which the bones were audibly shattered” was burned into my brain and has never left me. I can just hear the bones “audibly shattering” still. I love some of the other language in this short passage as well: The description of Carew as having “an innocent and old-world kindness of disposition, yet with something high too, as of a well-founded self-content.” Well-founded self-content. That’s great. Also, how Hyde seemed to listen with “an ill-contained impatience” and suddenly “broke out in a flame of anger” – all great stuff. 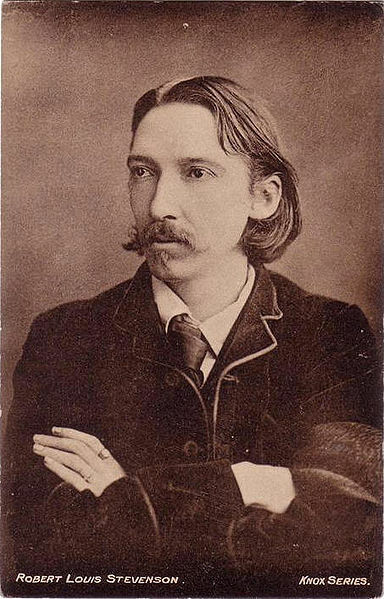 Many readers know of Stevenson more from other books such as Treasure Island, and Kidnapped, but of the novels I have read, this one was my favorite. 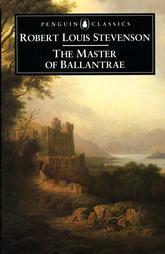 I also read Stevenson’s The Master of Ballantrae – a good story of revenge – as an adult, but it doesn’t come close either. I also just learned – during my ‘research’ for this post – of another novel, Prince Otto, which would be a perfect read for me. “Otto” is also my handle when I play the “buzztime trivia” game in the bars all over Bibliophilopolis – er, I mean Indianapolis. I have an overpopulation problem. I have too many books. More importantly, I have too many unread books. I don’t mind having a lot of books at my place if I’ve actually read them. At some point in the past, when breakfasting with a friend, I decided to initiate what I named my China Policy. Inspired by China’s famous “One-child policy” – initiated by Deng Xiaoping in 1979 as an answer to that country’s population problem. (See here for more info on that policy). My goal was similar: to limit the overpopulation of unread books in my possession. My policy is simple: I am only allowed to buy a new book when I have read two books that I already have, but have not read. How’s that sound? Well, it sounded good in theory, but has turned out to be difficult in practice. I began allowing too many exceptions to the policy: books for my book club don’t count (“I have to buy them anyway”) and if libraries or bookstores want to have sales to give away books for practically nothing (“I can’t pass on this opportunity”). 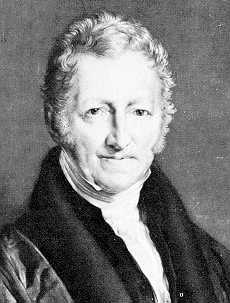 In fact, I have allowed so many exceptions, my overpopulation – like that of the world – has only continued to increase. I am, however, a little ahead of schedule in regards to the total number of books I hope to read this year (goal: 50 – I have 33 to go) and in my “Project: Civil War” in which I hope to read 1 book related to the Civil War per month for a total of 12 (progess: 5 down, 7 to go). What do I plan to read this month? Well, next up in P:CW is a history book by Paul I. Wellman titled The House Divides, which covers United States history from the time of Andrew Jackson to the start of the Civil War. I’m about 40 pages in and have found it interesting so far and am learning a lot already. Completion of this book will get me to the halfway point in P:CW. 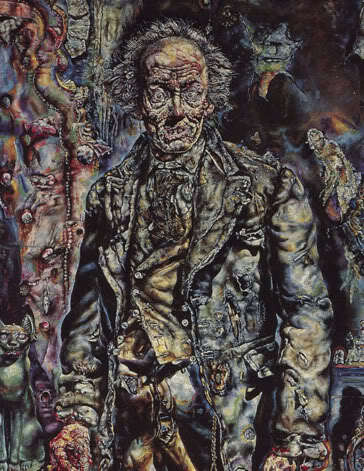 I also think it’s time to finally read Shakespeare’s MacBeth. (in 2008, my project was “Project: Shakespeare”, where I hoped to read all of his plays throughout the year. – I only got about 2/3 of the way through this project, but have continued to read the remaining plays occasionally ever since. I posted some information on this project within my book club’s website. 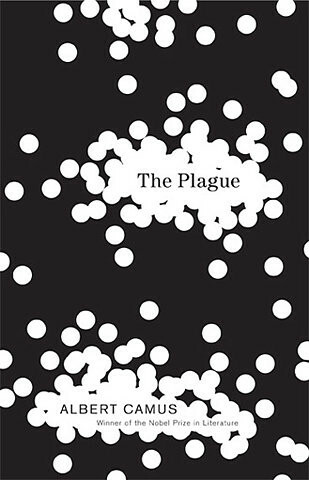 One more book would make it a good month… hmm… Maybe it will be Edgar Rice Burroughs’s Gods of Mars, or Albert Camus’ The Plague, which I started once long ago but never got back to. Wish me luck! This book is the April selection of my book club click here for a list of the collected readings of my book club, “The Indy Reading Coalition” . 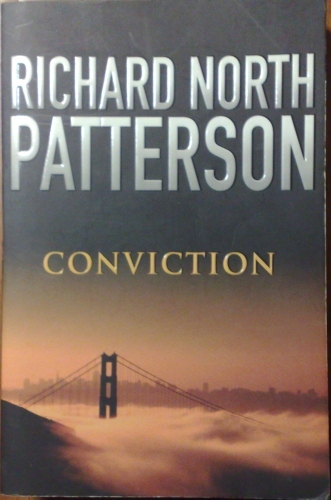 Oddly, it is the third book my club has read that has dealt with the death penalty and someone on death row. The other two were John Grisham’s The Innocent Man and Stephen King’s The Green Mile, both of which were well-received by my club. This selection was heavier on the ‘legal’ side of things – indeed, this is where the book made its greatest impression on this reader. Almost all of the major characters are lawyers and judges, and it has really made me think about how wildly different the work life of people in the legal profession is from other professional people. The book includes a fictional Supreme Court, and an ‘inside view’ into its workings and machinations. It also was one of those books that I’m not sure I liked, but am glad I read it nonetheless. I know that lawyers are, on the whole, pretty smart people (I’ve always assumed they have to be to pass the bar and survive law school, etc. ), and I like to think I’m a fairly smart person myself, relatively speaking. But… I don’t think I could use my ‘smarts’ as effectively as those who have made the law their profession. The only parts of the book that made me think otherwise were those in which both sides of the case would prepare their arguments while anticipating the other side’s response, and how they would meet that response, and so on, and so on. I guess I could confess here that, in a ‘former life’ I was a pretty serious ‘amateur’ tournament chess player, and these deliberations and calculations were not unlike those I remember while contemplating a move or tactical sequence in a game of chess. Where I would fail on the legal side, however, is in what I would call my lack of preciseness in language and its nuances. This is probably why many of us ‘other professionals’ find reading legal documents so tedious.